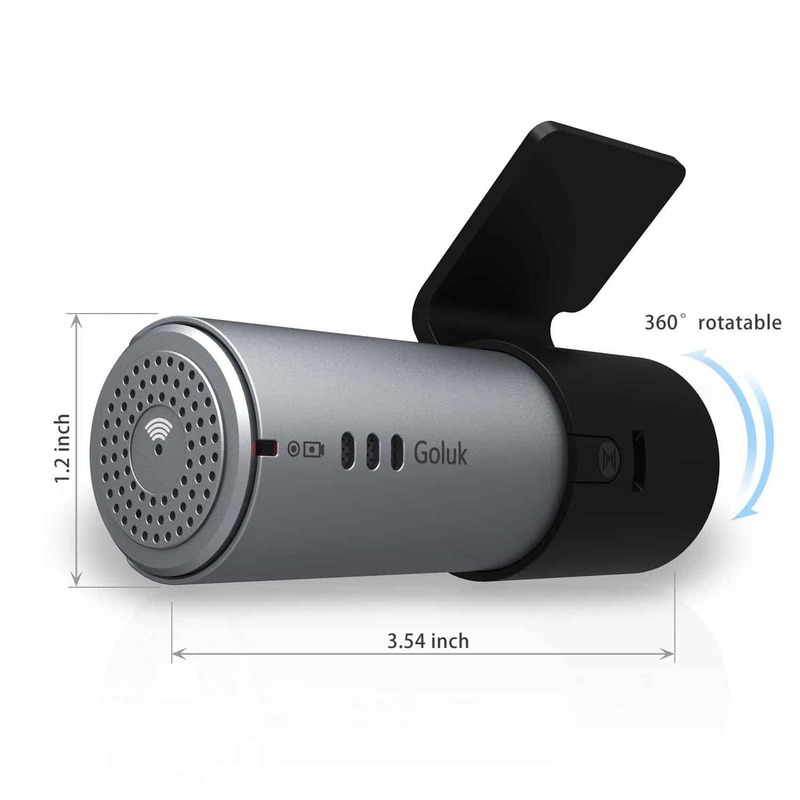 The Goluck T1 dash camera joins a very crowded market and brings some new tricks to the in car camera party. It’s a nicely styled little camera, the cylindrical design means this is compact and won’t stand out when fitted in your car. It also means there is no screen on the camera, you’ll need to download and use a companion app to setup the camera. Along with the T1 you get a windscreen mount, unfortunately this is a sticky mount rather than a suction mount. You also get a long USB cable to power the camera, a USB car adapter that has two USB ports so you can still charge your mobile while using the camera, stick wire holders to keep things tidy and a button. The included button is designed to be stuck somewhere in the car to trigger a specific recording and the app is geared towards making these recordings social. It’s an interesting take on the humble dash camera and not one I’m especially keen on, this could prove to be a little distracting to some drivers, but you don’t need to mount and use the button if you don’t want to. There isn’t a microSD card included so you’ll need to remember to order one. Once added to the camera you trigger formatting of the card via the app. Your mobile connects to the camera via the cameras wifi hotspot, and whenever you load the app it wants you to log in (or sign up if you’ve not done so). This can be skipped, it’s not something I’m interested in, but it was annoying to find the screen pops up everytime you open the app. Once you get past the opening login screen you’ve access to a real time view from the camera as well the cameras settings (e.g. turning off the Goluk logo). It’s clear Goluk have tried to take a fresh approach to the dash camera market with the T1, unfortunately they’ve not got the basics working correctly. The recorded footage produced was choppy and jerky (see video review). This was recorded to a class 10 microSD card that has been used in numerous dash cameras without any incident. The choppy recording impacted both audio and video and was a real disappointment, the actual picture quality when it did record looked good. The dash camera market is a crowded one so it’s interesting to see a company try and do something a little different, even if that difference wasn’t something I’d make use of. At this price you’re better off forgetting the non essential social sharing elements of this camera and pickup one that gets the basics correct. Perhaps I’ve been sent a faulty unit, if it the recording was fine I’d give this 3 stars, I really don’t like the mount or the way the app pushes you to log in and be social.